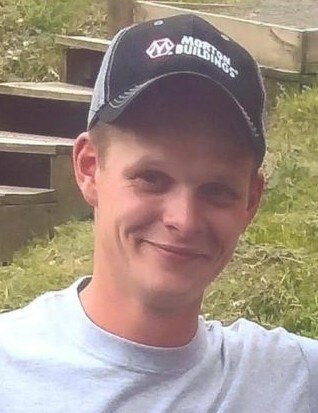 Charlotteville- Dustin Xavier McMahon, 24, of Charlotte Valley Road, was found to have died unexpectedly on Tuesday, November 6, 2018. Born March 13, 1994 in Cooperstown, he is the son of Pamela Butler and Kevin D. McMahon. Dustin was a childhood cancer survivor and was a Make a Wish Child. He did a commercial for Make A Wish Foundation in 1998. Dustin graduated from Charlotte Valley Central School in Davenport, NY and recently received a promotion to foreman at Morton Buildings in Cobleskill. He was the first born grandchild on both sides of the family and was looked up to by his many cousins. An outdoorsman, Dustin loved the woods and fishing. He enjoyed being in the company of his close friends, fixing his prize old Ford truck and building garages. Dustin loved and treasured all of his family, including his second Mom, Hannah. Justin Stone, whom he loved as a brother, was his closest friend. Devin McMahon, his younger brother, predeceased him on May 16, 2014. Cherishing Dustin’s memories forever are his mother, Pamela Butler (Michael Thorington), his father; Kevin D. (Hannah) McMahon; brother, Dohmnic Butler; maternal grandmother, Diane (Larry) Clum; maternal grandfather, Burton Butler; paternal grandmother, Sue and David Wilson; several aunts and uncles: Victoria and Michael Croce and their sons: John and Jaden; Freddy Butler, Betty Butler (Grant Mattice), and Teresa and Jason Key, along with several cousins. Family and friends are invited to a Memorial Service to be held at 2 PM on Sunday, November 18, 2018 at Mereness-Putnam Funeral Home, 171 Elm St., Cobleskill where a period of visitation will be held prior, from noon until 2PM. Officiating will be Rev. Paul Messner. A Celebration of Life will immediately follow the service at the American Tavern, South Grand St., Cobleskill. Memorial contributions may be made to Make a Wish Foundation Northeast NY, 3 Washington Square, Albany, NY 12205.